I want into the reading of Fangirl, thinking, hey this is going to be a light hearted naive story about Pre adult romance. I use the word Pre adult because when your 18, to me your no longer a teenager although you still may act like one, but anyways back to the book. This book of course does involve the romance but I have been finding that more pre adult, YA books are no longer naive like they use to be. Somewhere between my teen years, which was the mid to late 90s and now which is 2017, the books and there topics changed. I honestly believe they change for the better. They are helping to challenge our teens and their beliefs. All of these things are really great and really needed, so I am personally loving the change. 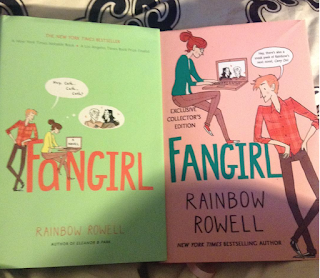 I didn't think I would love Fangirl that much because as I said, it sounded like a YA naive romance novel. Then when I read book, it become so much more. Honestly I would love to see more of the two main characters, which in my opinion is Levi and Cath, have another story. So enough about my opinion, lets get to the heart of the story . In this book there is a girl name Cath, who happens to have a special crazy relationship with her family, along with anxiety like most teens of today. She graduates high school, goes off to college and creates new relationships. She meets two guys, and one of the guys who she meets is through her roommate and his name is Levi. When Cath meets Levi, she knows he is close to her roommate. A few things happen and Cath ends up spending more time with Levi because of it. 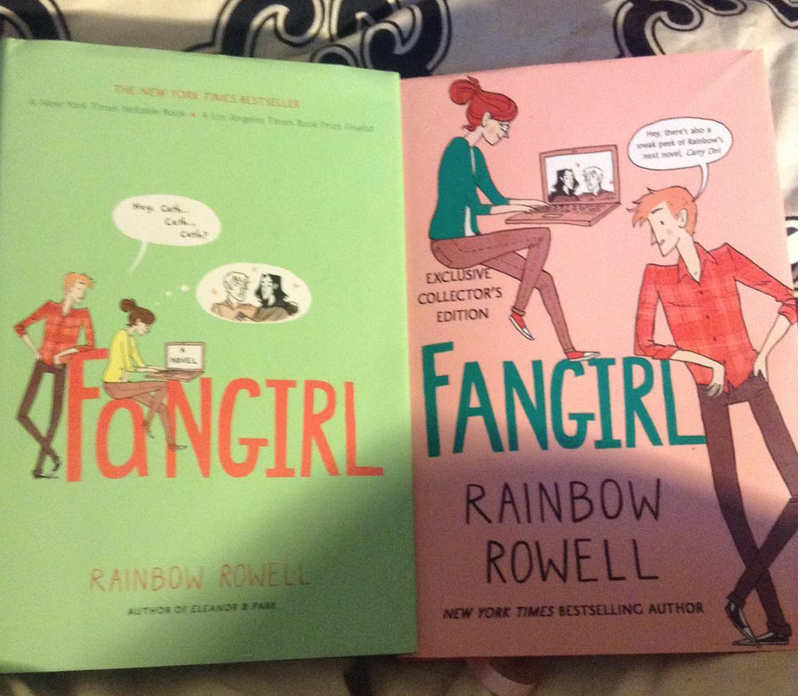 Some how Rainbow Rowell wrote a very natural weird real life relationship in such a book form, hopeless romantic way. For me I love this book so much because of the fact that Cath is weird. She is very much homebody at the beginning of the book, yet still gets the guy. I honestly need to know her secrets because I find I am a lot like Cath. So I gave this book a four out of five stars rating because when we start seeing more of Cath and Levi relationship, thats when Rainbow adds more of the Snow fanfic by Cath into the story. Now while I understand the point of adding the fanfiction, I feel like it takes away from the story of Levi and Cath. I feel like because of the fact that Carry On was written about Cath's fanfiction characters Snow and Baz,that Rowell really didn't need to add them into Fangirl as much as she did. That my only issue with the story, otherwise, overall it is a great funny young adult romance. I would recommend this to anybody who wants something sweet and fun that deals with Mental health issues. I hope this review helps and Yes buy the book, its worth it. Thanks for joining me once again on this book blog journey and all need to know items, will be link below.